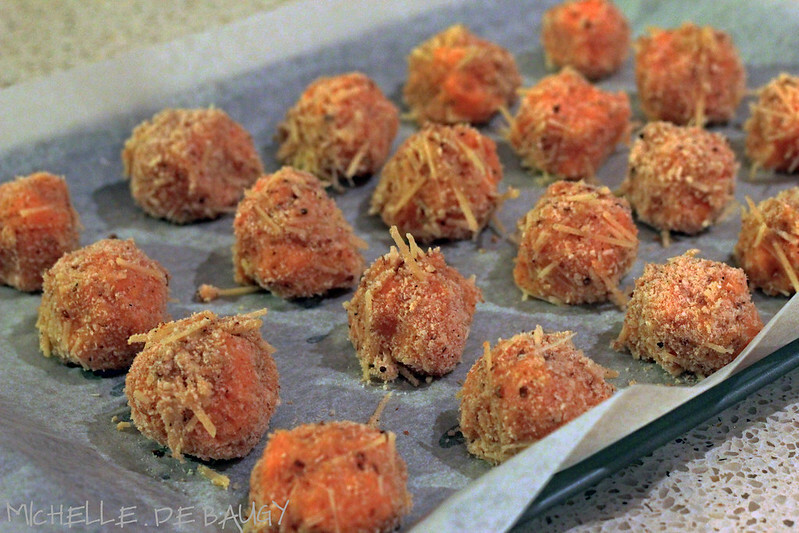 Our Life Down Unda: sweet potato bites. 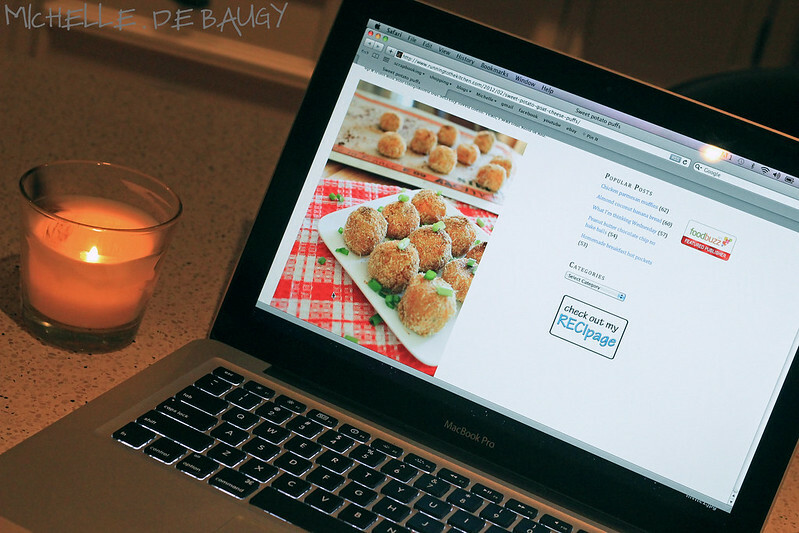 I was scouring Pinterest last weekend for some new recipes for our little gender reveal party next weekend. 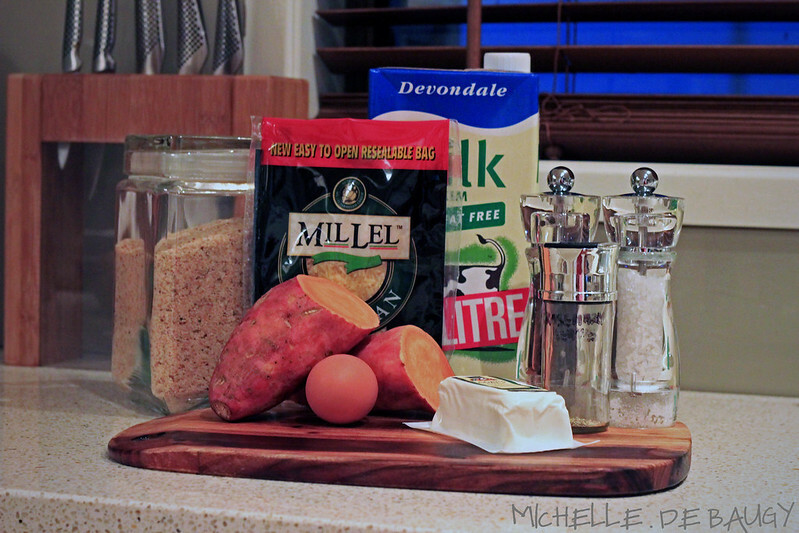 When I found these sweet potato bites I just knew I had to try them. Unfortunately I usually cook at night and have to take photos under the downlights in our kitchen, so please excuse the quality of these pictures. Natural light is just so much better! 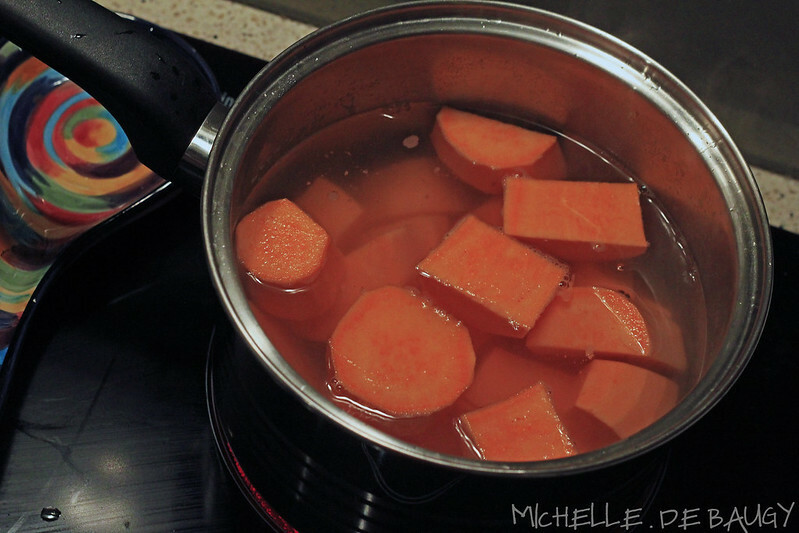 Peel, dice and boil sweet potato until tender... or "mashable". 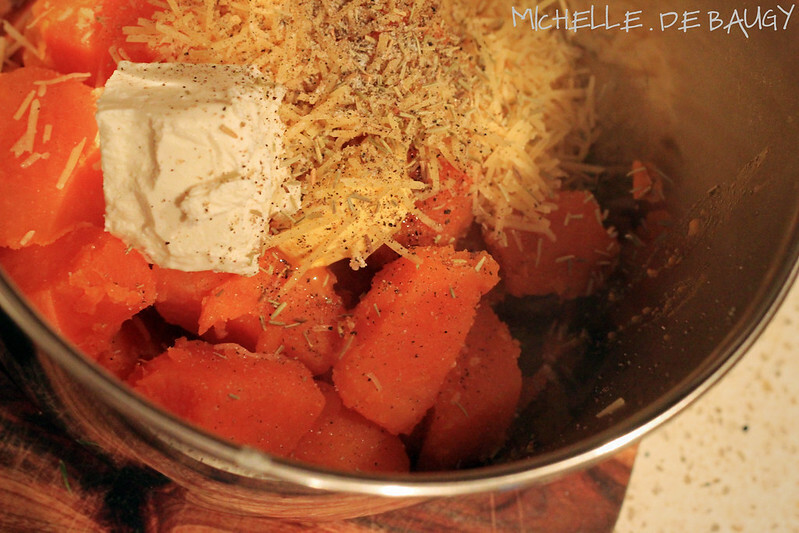 Combine sweet potato, goat cheese, half of your parmesan cheese, butter, milk, half of the rosemary and salt & pepper. Mash! 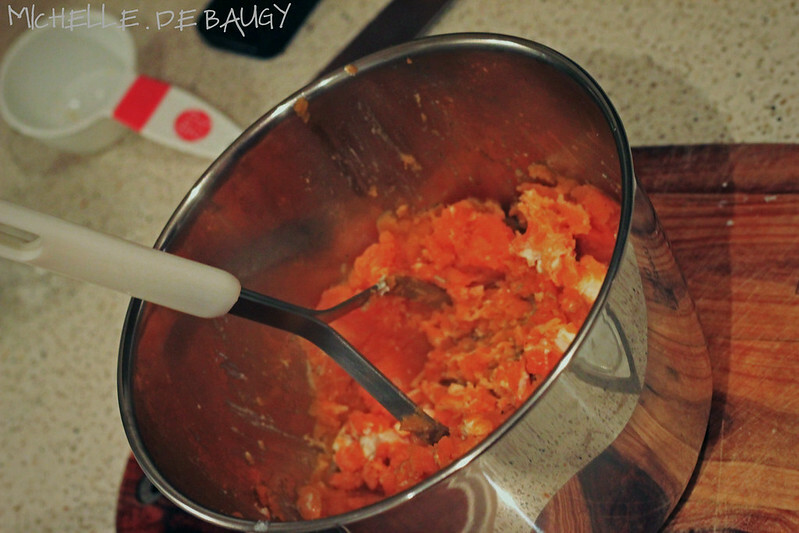 Once completely combined, place mixture in the fridge to cool and preheat your oven to 220 degrees celsius. 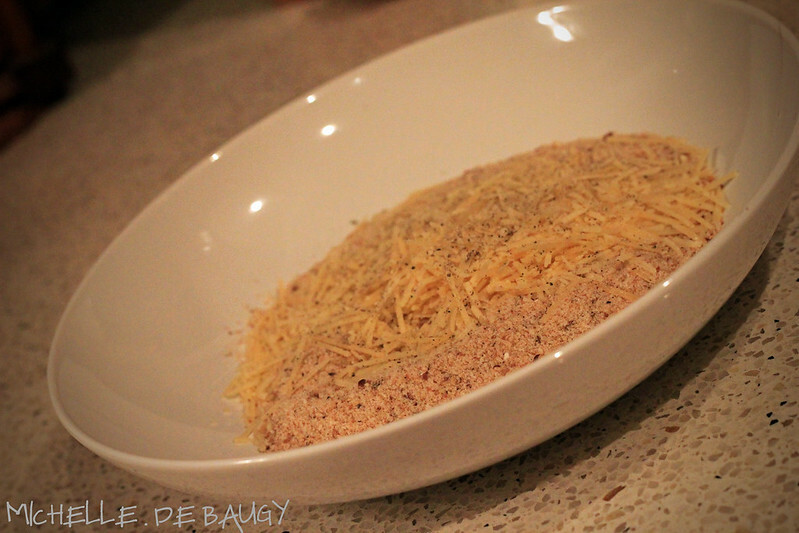 While your potato-cheese mixture is cooling, mix together the remaining parmesan cheese, breadcrumbs and salt & pepper in a shallow bowl. In a smaller bowl, beat the eggs and set aside. 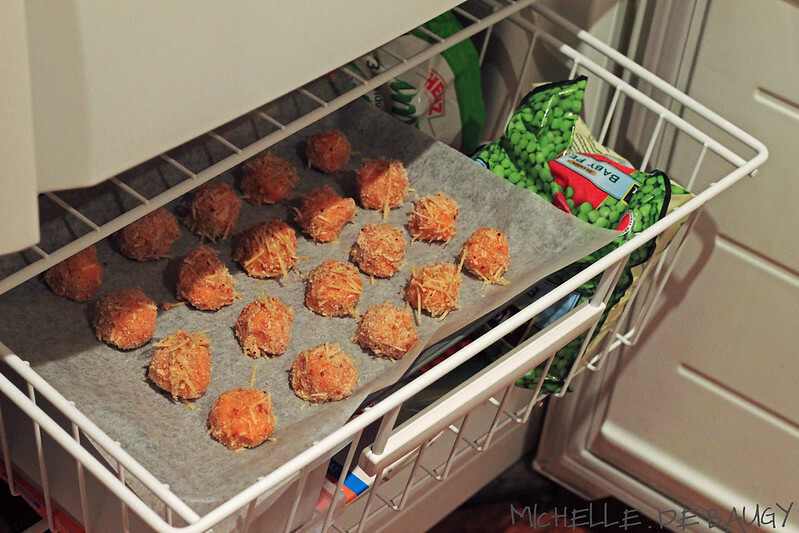 Once your potatoes are cooled, roll into small balls, coat with egg and roll in the breadcrumb-cheese mixture. Place on a baking tray and lightly spray the tops with cooking oil. Cook for 15-20 minutes. Turn the oven to grill (broil in the states) and cook for another 5-10 minutes or until the tops are nice and golden brown. 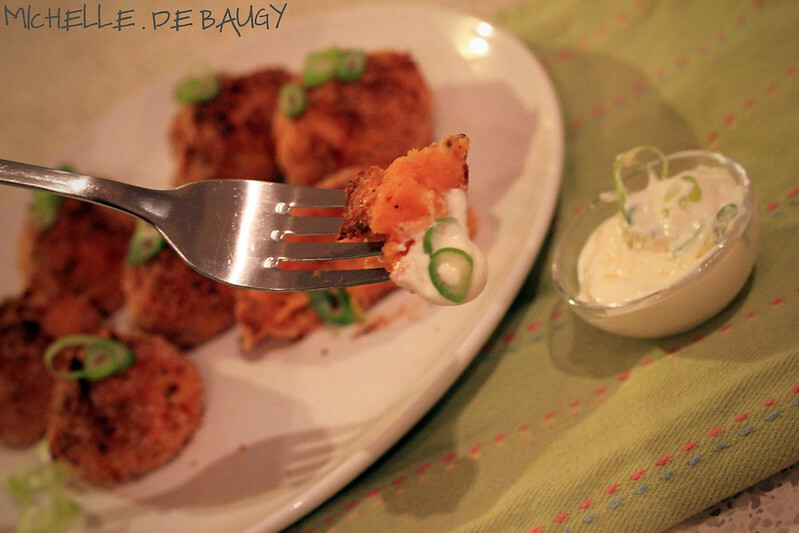 Garnish with some spring onion and dip in light sour cream- Yum-O!! Since this was just a test batch, I only cooked about half of the bites and froze the other half to cook later. 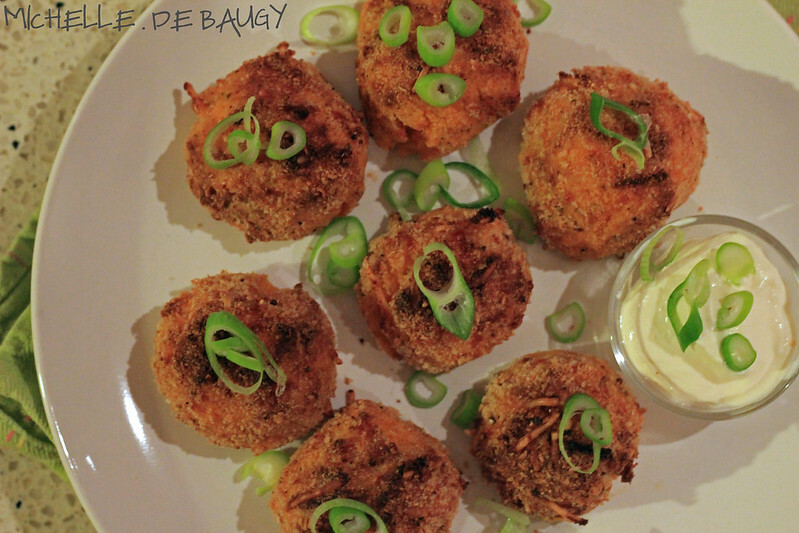 They made for a good side dish with our dinner but would be perfect finger food at a party.